Ensure the logos you create reflect both an understanding of design and the polish of a trained eye. Designers can make logos more valuable to clients by learning to focus on what counts and expressing that in their work. Get ready to pick up the must-have skills needed to make great logos. 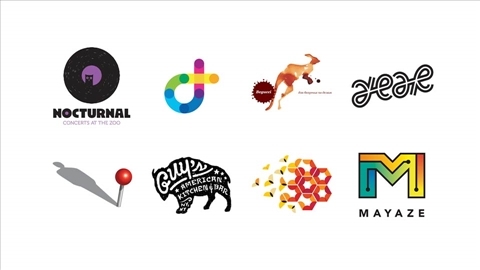 Identify the components of a successful logo. Learn how to make a strategic logo. 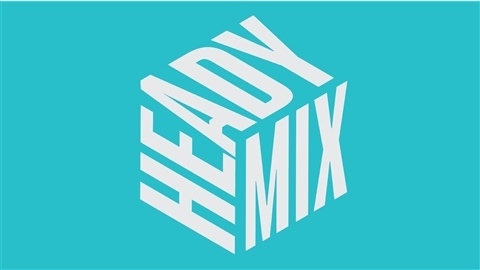 Enliven logos with effects, 3D, and animation. Part of your Lynda.com membership. Take your logo designs to the next level. 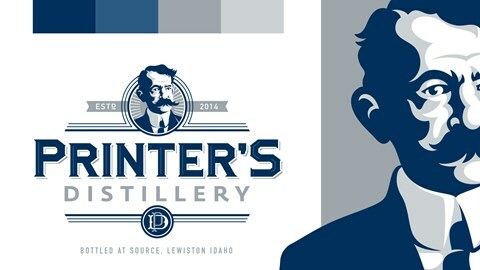 Learn techniques for creating vector-based logos that display beautifully in any format. 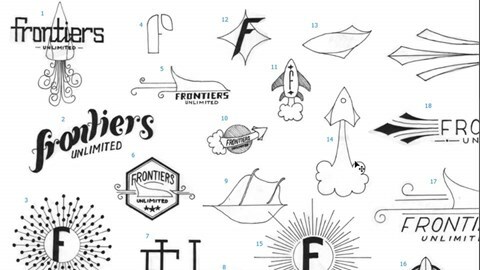 Aaron Draplin, owner of Draplin Design Co., takes our logo design challenge. Watch as he sketches, tests, and tunes his ideas, and provides tips on freelancing and finding inspiration. Learn how to design a simple, elegant logo—even if you've never designed one before—with these tips and tricks from Before & After creator John McWade. This course deconstructs popular logos to explain why and how each logo works, and offers a methodical approach to creating a logo in Illustrator and Photoshop. 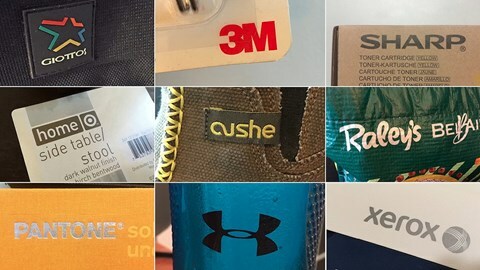 Learn the secrets of detecting logo trends to improve your logo designs. 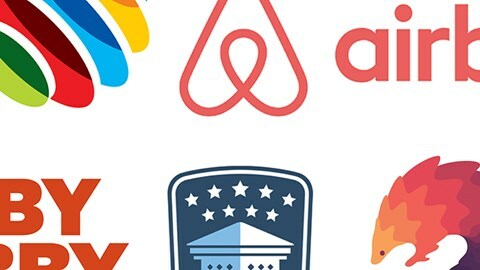 Bill Gardner evaluates over two-hundred logos, demonstrating how to train your eye to spot the nuances in logo trends so you can adapt and elevate your work, ensuring you produce fresh, original, and relevant designs. Learn how to create an eye-catching logo and adapt it to fit a variety of device-independent applications, from business cards to banner ads, using Illustrator and Photoshop. Learn about six different visual effects, from transparency to optical illusion, that you can use in your logo concepts to communicate the right message. 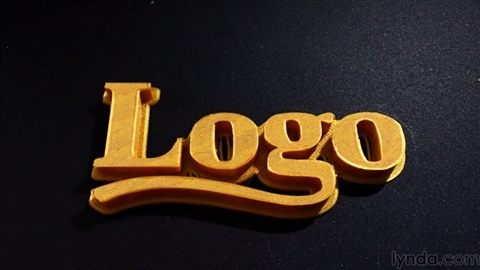 Create your own 3D printed logo for signage or swag with the built-in features in Photoshop CC. Combine the powers of Photoshop, After Effects, and Illustrator to make polished logo animations for yourself and your clients. Bring your logos to life with this quick start guide for animating and compositing a logo design in CINEMA 4D and After Effects. Von Glitschka is a designer, illustrator, and avid pursuer of all things creative. Von is creative director of Glitschka Studios, a multidisciplinary design firm in the Pacific Northwest. The studio shines as a creative hired gun for ad agencies, design firms, and in-house corporate art departments all around the world. He's a popular speaker on the topics of design, creativity, branding, and marketing and has written six books. Follow Von on Twitter at @vonster or see his work at www.glitschkastudios.com. 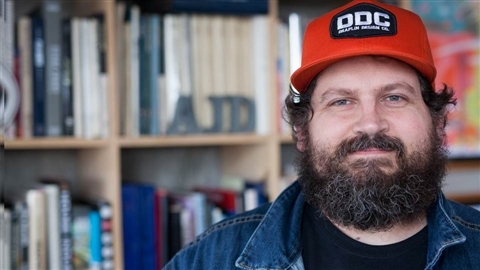 Aaron Draplin designs products, logos, and identity campaigns for companies like Nike, Patagonia, and Target. Located in the mighty Pacific Northwest, the Draplin Design Co. proudly rolls up its sleeves on a number of projects related to the print, identity, illustration, and Gocco muscle categories. They make stuff for Field Notes, Coal Headwear, Union Binding Co., Richmond Fontaine, Esquire, Nike, Wired, Timberline, Chunklet, Incase, Giro, Cobra Dogs, Burton Snowboards, Dawes, Patagonia, Sub Pop, Target, Megafaun, Danava, Ford Motor Company, Woolrich, and even the Obama administration, if you can believe that. Draplin Design Co. prides itself on a high level of craftsmanship and quality that keeps designers up late into the wet Portland night. Their proud list of services includes graphic design, illustration, friendship, clipping pathery, Garying, jokes/laughter, campfire strummin', Gocco dynamics, road-trip navigation, trust, guitar tuning, gen'l conversation, culture critique, color correcting, existential wondering, bounty hunting, heavy lifting, advice, a warm meal, simple ideas, and occasional usage of big words. John McWade is a designer and teacher who creates courses about graphic design as a staff author at LinkedIn. In 1985, Mr. McWade created PageLab, the world's first desktop publishing studio, and in 1990 he founded Before & After magazine to teach graphic design to desktop publishers. Before & After is known for its simple beauty, clarity of instruction, and especially its emphasis on design not as decoration but an essential form of communication. Mr. McWade's formative background is in printing and publication design, with a specialty in typography. He has authored three books: Before & After Page Design, Graphics for Business, and How to Design Cool Stuff. Nigel French is a graphic designer, author, artist, and trainer with more than 20 years of related experience. Nigel is author of InDesign Type: Professional Typography with Adobe InDesign, published in its third edition by Adobe Press. He is based in Brighton, UK. His website is nigelfrench.com. Bill Gardner is president of Gardner Design and the founder of LogoLounge.com. 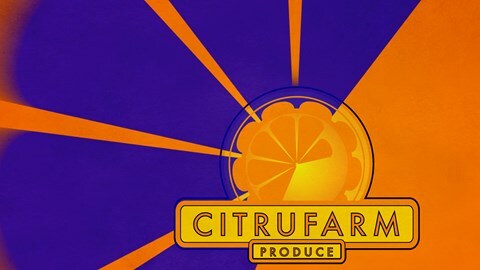 In addition to founding LogoLounge.com, Bill has produced work for Cessna, Learjet, Thermos, Pepsi, Pizza Hut, Kroger, Hallmark, Cargill, and the Athens 2004 Summer Olympics. His work has been featured in Graphis, Communication Arts, Print, and the Museum of Modern Art, as well as many other national and international design exhibitions. He is also the coauthor of LogoLounge, volumes 1–8, and the LogoLounge Master Library series. Bill lives in Wichita, Kansas. Deke McClelland is an award-winning author, an educator, and a titan of image editing and graphic design. Deke is the author of more than 50 video courses on creative imaging, graphics, 3D, and design for the industry-leading lynda.com. One of the most award-winning writers in the business, Deke has written over 80 books translated into 24 languages, with more than 4 million copies in print. These have included The Photoshop Bible, several For Dummies books, and his own One-on-One series published under Deke Press. 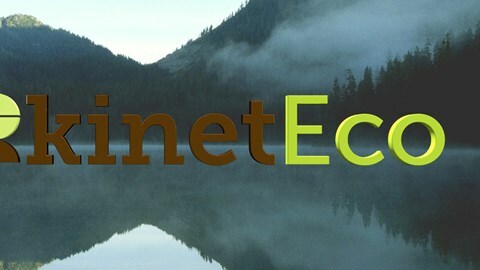 In his spare time, Deke runs dekeOnline (deke.com), where he posts episodes of his popular lynda.com weekly series, Deke's Techniques. He lives in Boulder, Colorado with his two sons. Steve Caplin is a best-selling author and a freelance Photoshop artist specializing in satirical photomontage. Steve's work appears in newspapers and magazines both in the United Kingdom, where he lives, and around the world. As a prolific author, he produced six editions of the best-selling How to Cheat in Photoshop, as well as 100% Photoshop, Art & Design in Photoshop, and Icon Design, among other titles. Ian Robinson is a motion graphics designer and educator who works with Discovery and National Geographic. Ian also an instructor, photographer, and co-owner of SoftBox Media LLC. He has worked with Discovery Communications, National Geographic International, and various production and post-production facilities. Though he specializes in broadcast, Ian is truly a format agnostic, with an extensive portfolio covering print, HD, DVD, and podcasting. He uses whichever medium most effectively delivers the message his client wants to convey. Teaching is also an important aspect of Ian's work, and he believes that one has only truly learned one's craft after teaching it. Craig Whitaker started at Apple, has taught for clients such as Pepsi, and is now creative director at Storia. Craig Whitaker is a cofounder, partner, and creative director at Storia, a creative content company focusing on script-to-screen production and post in Philadelphia. He has over a decade of post-production experience, starting at Apple, where he taught a variety of professional applications, including Final Cut, Shake, Logic, Aperture, and Color. After leaving Apple, he worked as a digital artist at DIVE in Philadelphia, where he worked on several feature films, including Let Me In, I Am Number Four, Safe, and After Earth. Craig has also worked on many broadcast projects with clients such as Pepsi, Temple University, and Penn Medicine, and is an adjunct professor at Drexel University, teaching 3D and compositing. On the music side, Craig was the founder, songwriter, and multi-instrumentalist with the group Quick Step John. His music has been featured on NBC's Emmy-winning show ER, and he has performed with groups such as Matchbox 20 and the Grateful Dead. In addition, Craig is the president of the Foundry's NUKE User Group in Philadelphia, and has presented for MAXON at NAB 2015, demonstrating VFX techniques with NUKE and CINEMA 4D. Learning Paths are big commitments. Keep your goal in focus by taking one at a time. Starting Design a Logo will pause your previous path and save your progress.